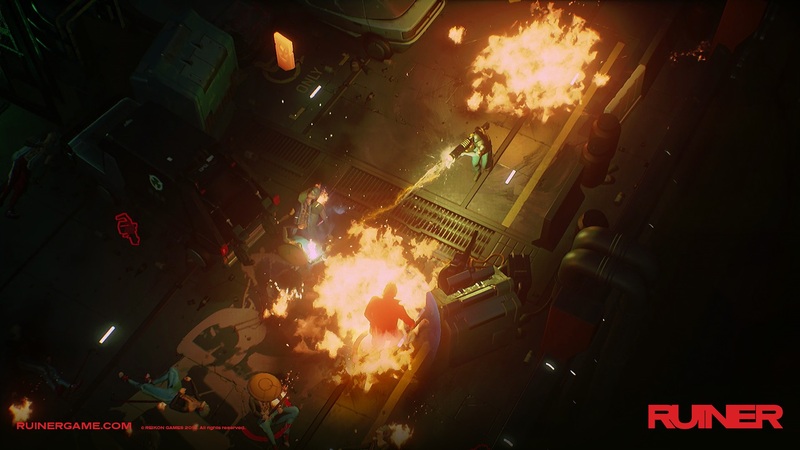 Acting as one of the most brutal, yet cathartic, experiences found at PAX South, Reikon Games’ Ruiner turned many a head on the show floor in San Antonio. 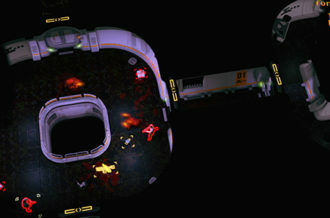 Owing to both the greasy futuristic style and the relentless, yet accessible challenge, the game brought to mind the Nine Inch Nails track of the same name. So, because I can’t get the damn song out of my head, we’ll just use that as a framing device. The marketing around Ruiner has been one centered on its strong stylistic aesthetic. 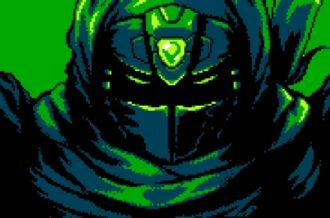 Starring a hero with an LED screen for a face, even the original screenshots of the Devolver Digital published title garnered attention with a appearance that hadn’t really been seen before. That uniqueness combines with the publisher’s propensity to release only quality experiences let the audience know that there was something special about this. In essence, this is an isometric action game. Using melee and ranged attacks, including the titular firearm, players are tasked with clearing rooms of threats. Initially, the hero has only one command pulsing through his head: Kill the Boss. It turns out that the protagonist’s mind was hacked, and things might not be what they appear. While this is an isometric action game, the hero has many unique talents available to him. In addition to smacking foes with melee weapons and ballistic murder, he also has a very helpful dash feature. By holding down the right mouse button, players are able to stop time and plot out a course of up to three moves that will be executed when the button is released. This allows for quick flanking maneuvers to catch enemies unaware. He also has a bullet absorbing shield that runs on a quickly dwindling energy meter. Combining the dash with this feature instantly kills most of the enemies. This particular move quickly became a favorite of mine as smashing through a few enemies before they have a chance to react helped even the odds. How Did You Get So Hard? 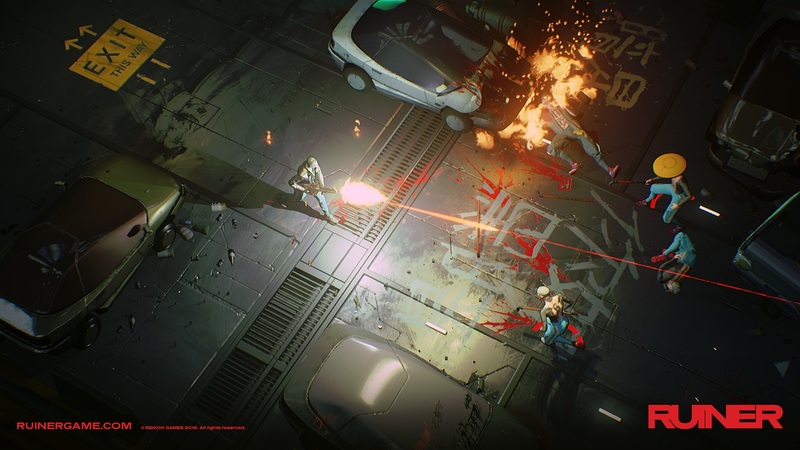 Ruiner is not a game about coddling the player. I discovered this fact to my chagrin as I played on Devolver’s enormous screen in front of hundreds of passers by and curious onlookers. I died and way too often. 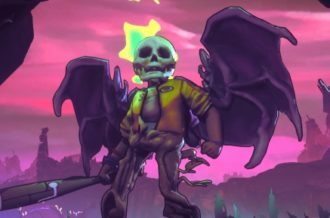 Enemies take off large amounts of health, and there are tons of them during specific encounters. And then there are those freaking homing mines…no matter how powerful the hero and his abilities are, this game will still test the player’s skill. That’s awesome. Despite my humiliation, every hard fought battle, every checkpoint began to feel like an accomplishment. Every situation can be resolved with quick thinking, quicker reflexes, and an overdose of that tasty ultraviolence. 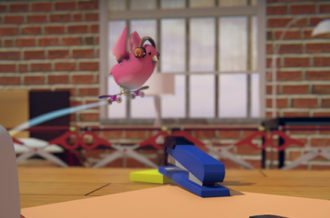 The first, and only boss in the demo, had the added stress of a time mechanic. The clock was ticking and the only way to add to it was killing an enemy. This forced me to play aggressively instead of waiting for an enemy to make a mistake, and made the success feel that much more satisfying. How Did You Get So Long? To be fair, I cannot vouch for the actual length of the final game, but it took me about a half an hour to finish up the introductory mission. 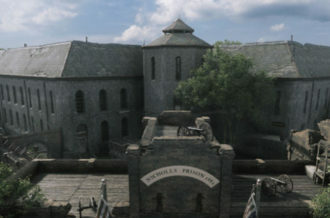 Afterwards, I was afforded the opportunity to explore a town area where upgrades can be purchased and missions accepted. 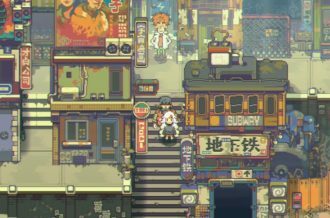 This area brought to mind an even dirtier version of a city from Shadowrun, which can only be described as a good thing. 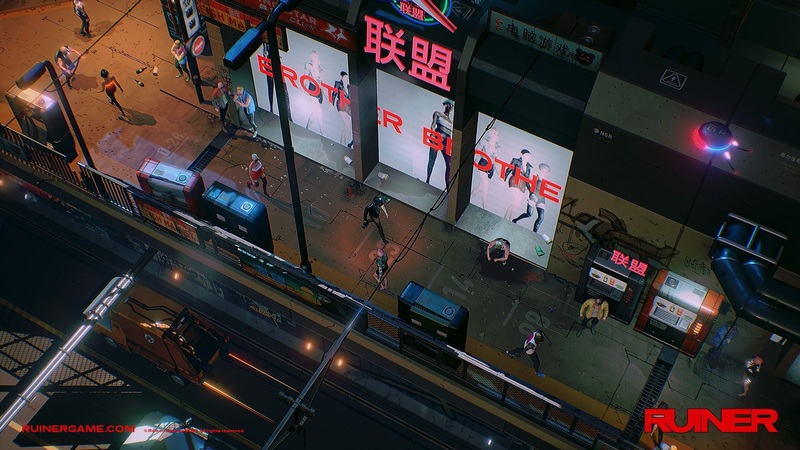 Extrapolating both the mission complete time and the options available in the town, every indication is that Ruiner will take at least a few sessions to complete. With the quality that was on display for this title at PAX, those will be some tense, but rad, sessions indeed.